Links to Term 1 assessment materials. Reflecting on what I’ve learnt over the last three months on this module. There were a number of articles and a resources that I found useful when developing VideoAppShack from an idea into a business. 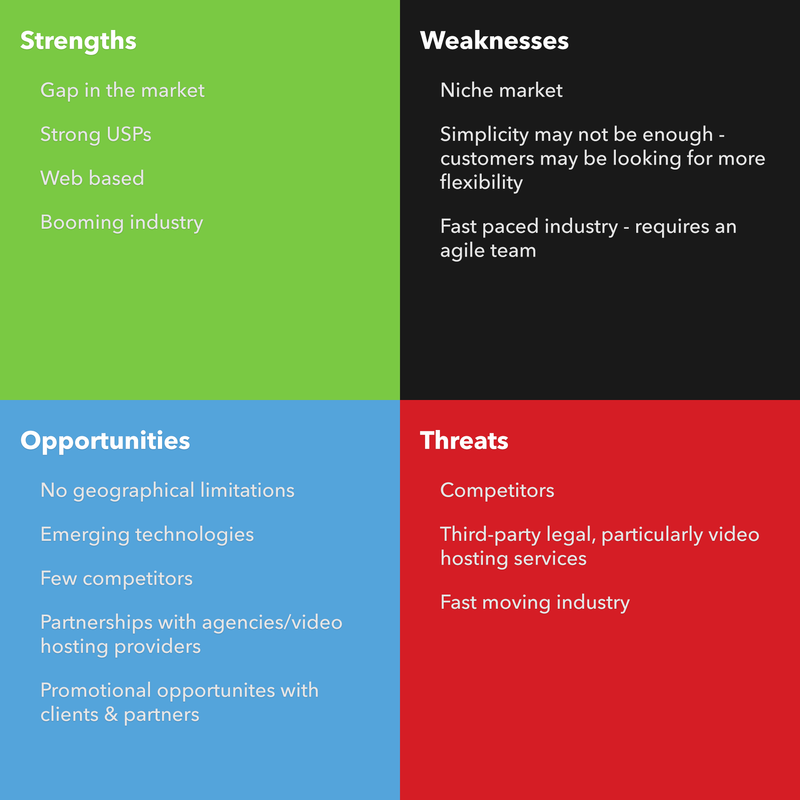 Having looked at competitors and learning from personal experience, I’ve identified a few key points that would give VideoAppShack a competitive advantage. The nature of the VideoAppShack platform means it is extensible. Updates can easily be made to offer new features to our customers. Though, our focus on quality means it’d be silly to cram everything into the first release. In December we presented a longer pitch to the group and three external entrepreneurs. This pitch was to be no longer than 5 minutes and include a bit more about the company structure. Branding is incredibly important for a company. It gives the company a chance to influence it’s public perception. It’s an asset that’s intangible but is often a company’s most valuable. It has an interesting origin, coming from livestock branding which was used to differentiate one farmer’s cattle from another.